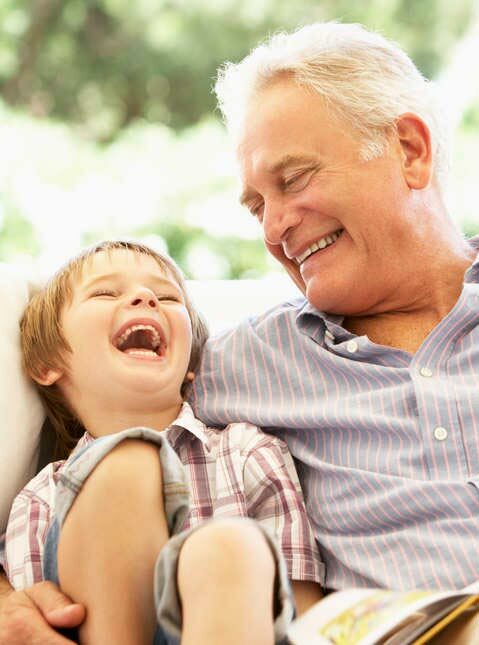 With the NVISION Lifetime Commitment, NVISION offers the peace of mind that if a future enhancement is needed to maintain vision results, clinically qualified participating patients will receive a same-technology enhancement procedure free of charge. You are eligible if you have good general eye health and have had your initial laser eye treatment by a NVISION Lifetime Commitment affiliated surgeon. Please read the detailed guidelines for complete information. To maintain eligibility in the program, you will need to have an annual eye exam performed by your eye doctor. The patient must be treated at a NVISION Lifetime Commitment affiliated center for his or her initial procedure by an eligible NVISION affiliated surgeon and have a myopic spherical equivalent of -10.00 D or less and/or astigmatism of no greater than -3.00 D at the time of treatment, or the patient must have a hyperopic spherical equivalent of a +4.00 D or less and/or astigmatism of no greater than a -2.00 D at the time of treatment. The patient must have a best corrected (aided) vision of 20/40 distance vision or better at distance prior to the laser refractive procedure. The patient must have followed the complete course of post-op treatment required during the first 12 months after the procedure (initial and enhancements, if any), including post-op follow-up visits, as prescribed by the NVISION affiliated surgeon and affiliated eye doctor. The patient must be current in all payments due to NVISION or its affiliates for laser vision correction. Following completion of the post-op treatment period of 12 months, the patient must have annual eye exams with an eye doctor. Fees for the annual eye exams are determined by the patient’s doctor. NOTE: Fees for annual exams are the responsibility of the patient. The patient understands that the surgeon who performed the original procedure may not be available for the enhancement; if that is the case, another surgeon will be recommended. The NVISION Lifetime Commitment affiliated doctor and treating surgeon must agree that it is medically advisable to pursue the enhancement requested by a patient. In the event of a difference of medical opinion between them, the ultimate decision as to medically advisability is made by the NVISION Lifetime Commitment affiliated surgeon. Patients whose refractive error falls outside the eligibility guidelines. Refer to the Eligibility Guidelines above. Patients whose loss of vision is a result of an accident involving trauma to the eye. Patients whose vision is reduced due to irregular astigmatism. Patients who had RK, ALK, or other refractive procedures, prior to having laser vision correction. Patients whose initial laser vision correction was not performed at a NVISION Lifetime Commitment center. Patients diagnosed with an ocular disease such as cataract, glaucoma, diabetic retinopathy, retinal tear or detachment, ectasia, or macular degeneration. Patients seeking an enhancement as a result of developing or progression of presbyopia, even though presbyopia is a result of natural changes in vision. Patients of surgeons who do not participate in the NVISION Lifetime Commitment program. Patients who fail to comply with the NVISION Lifetime Commitment eligibility guidelines. Costs of annual exam after surgery. Costs of any visits unrelated to the standard LASIK post-surgical care, even within the first year. Pre- and post-op care for an enhancement, unless this care occurs within the first year following the patient’s initial procedure. Costs for treatment of monovision patients who elect to change their target refraction. How do I enroll in the NVISION Lifetime Commitment program? Eligible patients are automatically enrolled in the NVISION Lifetime Commitment program upon completion of their laser vision correction procedure. The NVISION Lifetime Commitment guidelines will be provided in your surgery packet. You must sign an NVISION Lifetime Commitment program acknowledgment stating you understand the conditions of the program. Do I need to send documents of annual eye exams to the center? Your eye doctor can send the exams to the center. However, it is a good idea to keep a copy of your yearly exams for your personal records. Does the annual exam have to be at an NVISION office? No, the annual eye exams are not performed at our NVISION office. Your exam will be at your optometrist’s office. What if I change optometrists? This is fine as long as you are receiving eye exams from a licensed eye doctor. Ensure you get a copy of your eye exam record from your previous optometrist. Do I have the lifetime commitment if I opt for monovision? Not in the monovision eye. If you elect to have a monovision target changed, a charge of $500 will be applied. However, if your monovision target wasn’t achieved and a re-treatment was recommended, this would be included. If I have an eye surgery unrelated to LASIK after my LASIK procedure, am I still eligible for the NVISION Lifetime Commitment? No. Please see the exclusion criteria for lifetime commitment. Ask your local NVISION center for details. What if I require an enhancement and the technology has changed? If you have maintained eligibility in the NVISION Lifetime Commitment program, you are eligible for a Custom LASIK enhancement at no charge. However, if the LASIK technology required for your enhancement has advanced since your original procedure, you will be charged the difference in retail cost between the old and new technologies. What if I do not meet the NVISION Lifetime Commitment eligibility and exclusion guidelines? If an enhancement is medically advisable within 12 months of your procedure and you do not meet the NVISION Lifetime Commitment eligibility and exclusion guidelines listed in this document, you will still receive an enhancement at no charge during the first year and at a reduced fee after one year of your initial procedure as long as it is medically advised by the surgeon. After the year, the fee will be 50% discount off our usual and customary fees for the enhancement. Additional fees for post-op care will apply. The pre and post-op fees will be determined by the NVISION affiliate doctor and must be paid to the doctor by the patient.